Toronto real estate surpassed the national trend and reported record numbers for 2015, with prices up almost 10% year-over-year. Toronto real estate is expected to be robust in 2016 as the area’s economy, jobs market, near record low interest rates, and demand for housing remains strong. This continues to make the Greater Toronto Area one of the best places to invest when it comes to real estate. The average selling price for all homes (condos, detached homes, etc.) in 2015 was up 9.8% at $622,217. The biggest increases came for detached homes in both the 416 and 905 areas. In Toronto, the price for a detached home increased 12.6% year-over-year to $1.04 million. In the 905 area, the price for a detached home was up 12.1% at $728,015. Demand for housing in the Greater Toronto Area (GTA) and other parts of southern Ontario, including Hamilton and Milton, has been much stronger than most Canadian markets. The record 2015 numbers would have been even higher had there been more properties available. As a result, the pent-up demand and momentum from 2015 is expected to continue into 2016. After a record year of homes sold and of soaring prices, there are a number of reasons why it is believed this will continue in 2016 and why house-hunters will continue to see home ownership in the GTA as a great long-term investment. It’s the most fundamental aspect of market economics. There is strong demand and a tight supply. With the population of Toronto growing, more people will be looking for properties in the GTA. Low oil prices are weighing on the Canadian economy. As a result, interest rates will remain low for the foreseeable future. On top of that, when they do start to rise, it will be in small, measured steps. The Bank of Canada does not want to negatively affect the economy by increasing interest rates. Toronto continues to be one of the best places to invest when it comes to real estate. However, most Canadians are underexposed to real estate as an investment class. This is mostly because it’s expensive to purchase and maintain a second or third property. One underutilized way to take advantage of Toronto’s record housing market is to invest in private Canadian residential real estate mortgages through a mortgage investment company (MIC). 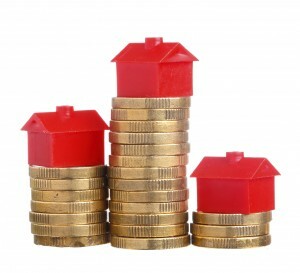 A MIC is an investment company that allows individuals to invest in various mortgages. Legally, a MIC must pay 100% of its annual net income to shareholders in the form of dividends. As a result, investing in private mortgages can provide investors with a stable source of income. Mortgage Company of Canada is a privately owned company with more than 75 years of key industry experience and offers investors the opportunity to invest in an alternative investment class of a diversified, secure portfolio, and professionally managed Canadian real estate mortgages. Mortgage Company of Canada has developed a diversified portfolio of over 300 residential mortgages with a mix of investment types across the GTA. As an alternative investing strategy, Mortgage Company of Canada MIC has been generating consistently positive returns and has never missed a dividend payment. 1. “GTA Realtors Report Record Year for TREB MLS Home Sales,” Toronto Real Estate Board, January 6, 2016; http://www.trebhome.com/market_news/release_market_updates/news2015/nr_market_watch_1215.htm.